There are 83 entries in this glossary. A Filmclub organized by Freiburg students. The Filmclub tries to show all movies in the original (language) versions; "OmU" means original with German subtitles, the languages are marked (English/French/Spanish/Finnish/Korean). There are different film series organized. The program is available only in German, but there is some information about the series at AKA homepage . Almost all movies are shown at the lecture hall 2006 at the Kollegiengebäude II, just opposite the theater. You have to buy a semester membership card for 2,50 Euros, each film costs 1,50 Euros. 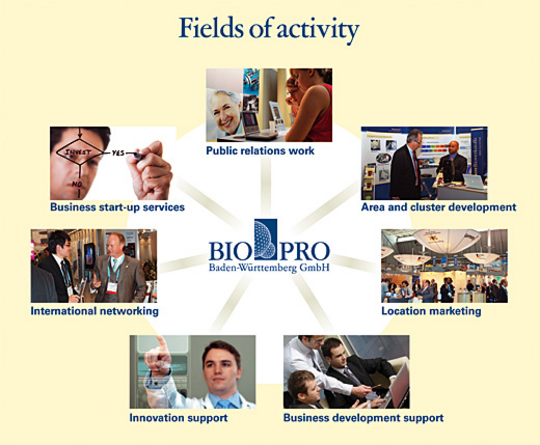 BioPro - Biotechnology and Life Sciences in Baden-Württemberg provides targeted support to research institutions and companies in the biotechnology and life sciences sectors. BioValley - The Life Sciences network in the trinational context with Alsace in France, South Baden in Germany and Northwest Switzerland, with their centers Strasbourg, Freiburg and Basel. Carl-Schurz-Haus is a German-American Institute established in 1952 as a binational cultural center that offers up to 250 events per year and comprises an English language library of 12.000 items, of which 2.700 films, 1.200 audiobooks and 50 journals. Please use this template to document courses, seminars, lectures, meetings etc. you have attended so far. Add all events to this list - it is a compilation of all your curricular activities as an overview. Please send this list per e-mail before meeting with the school management. Thank you. Day Care Center - founded in 1996 offers 50 all-day care slots for University employees' and students' children. 55 slots available - day care from 06:15 to 18:00h on weekdays. 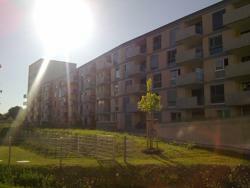 Address: Fehrenbachalle 4, Personalhaus V.